Ars Nova Copenhagen og Paul Hillier præsenterer her den første indspilning i en serie helliget Heinrich Schütz’ (1585-1672) bibelske værker (Historiae). Det danske vokalensemble fejrer således Danmarks stolte forbindelse med denne tyske mester, som blev udnævnt Kapellmester af Christian IV og arbjedede ved det danske hof over to perioder igennem 11 år. Cover-illustrationerne viser relieffer i hamret metal af Karl Schmidt-Rottluff (1884-1976), et medlem af Die Brücke-gruppen grundlagt i 1905 i Dresden – en by, med hvilken Schütz selv havde en tæt tilknytning. "Paul Hillier delivers a first-rate recording to launch a promising Schütz series"
"ARS NOVA's intonation is superb, creating a rich tone in a reverberant Copenhagen Church." "Tenor Johan Linderoth is superb in the demanding role of the Evangelist"
"Set aside preconceptions and listen to Schütz' direct, honest, calm and altogether tidily persuasive Passion"
Evangelist: Es war aber nahe das Fest der süssen Brot 14:02 12,80 kr. Evangelist: Und er ging hinaus nach seiner Gewohnheit 9:17 9,60 kr. Evangelist: Die Männer aber, die da Jesum hielten 3:19 6,40 kr. Evangelist: Und der ganze Haufe stund ab 7:19 9,60 kr. Evangelist: Aber sie lagen ihm an mit grossen Geschrei 11:07 12,80 kr. Evangelist: Da aber der Hauptmann sahe 3:54 6,40 kr. It is always unfortunate when our familiarity with one composer's music gets in the way of hearing another's. But for most of us in the 21st century our experience with J.S. Bach's two passions makes us likely to hear settings by other composers primarily in comparison to them. If we approach the passions of Heinrich Schütz in particular with ears attuned to Bach's compositions we are likely to be puzzled and maybe even disappointed, because the older composer's approach and choice of musical medium were very different. The structure of both Schütz's and Bach's passions is governed by the musical recitation of the Gospel text. In Bach's settings these words are presented by a musician representing the Evangelist who sings the narrative accompanied by basso continuo instruments in melodically and harmonically expressive music that emphasizes the emotional and affective implications of the words. The closest musical relatives of these Gospel settings are actually the recitatives in Bach's church cantatas, in which Bach sets free poetic texts and heightens them with musical gestures. In the passion the words of the Evangelist are narrative prose, but Bach sets them much like the cantatas' poetry for expressive effect. Schütz's St. Luke Passion takes an entirely different approach. The Evangelist's words there are intoned in a kind of chant whose melodic contours are modest and whose largely unspecified rhythms are presumably meant to follow stylized speech. A few simple formulas govern most of the Evangelist's extensive music in Schütz's St. Luke Passion, formulas that emphasize recitation on one pitch with decoration at moments of grammatical punctuation. In comparison to Bach's music the effect is stark and much less obviously expressive. Schütz was certainly capable of writing expressive monodic music with basso continuo - in fact he composed a passion-season work (The Seven Last Words) that draws largely on exactly this kind of writing. But his St. Luke Passion uses no instruments in deference to a tradition at the Dresden court (for which Schütz evidently composed his passion settings) of silencing them during Holy Week. This much plainer style to which Schütz turned would nonetheless have been intimately familiar to listeners because recitation according to a melodic formula was the usual way of presenting the passion story in the liturgy. This kind of setting has its own virtues; among other things, it puts a strong emphasis on continuous narration in the words of the Gospel, in contrast to the tendency in Bach's passion settings to focus on individual moments in the story and to pause often for reflection on them. Those moments of reflection represent another significant difference. In Bach's passion settings the narrative is frequently interrupted by commentary movements either in the form of chorales (hymn stanzas almost always presented with their associated melodies) or free poetry set as solo arias (and sometimes as instrumentally-accompanied recitatives). These movements, together with framing ensemble pieces at the beginning and end of the work, represent perhaps the most characteristic aspect of Bach's passions. The arias reflect on the action in vivid and gripping terms with musical settings meant to evoke emotional reactions. The carefully selected chorales are designed to draw the congregational listener into the narration by their use of familiar texts and tunes. These commentary movements have no musical or emotional parallel in Schütz's passion. That work is introduced by a short ensemble number that announces the presentation of the passion story according to Luke - essentially a liturgical formula, neutral in its affect. The only other non-Gospel movement is the last, an ensemble setting of a chorale stanza that urges reflection on the passion story and on one's own mortality. But this piece is short, does not use the hymn melody associated with this text, and in its relatively neutral musical style is not designed to provoke an emotional response to the story just concluded. The focus remains on the narrative. Two elements in Schütz's setting are more closely related to Bach's passion. The first is the presentation of the words of various characters. The direct speech of Jesus, Peter, Pilate and others plays a large role in the telling of the passion story, particularly in Luke's Gospel. In Schütz's setting (as in Bach's) these words are assigned to particular singers. The liturgical tradition from which Schütz drew this practice used three people in total: one to sing the Evangelist's words, one to sing those of Jesus, and a third to present all the other speaking characters. Schütz evidently used distinct singers for the various roles (as did Bach), and just as in the traditional liturgical manner of presentation, their words are musically distinguished by range and by the choice of a reciting note. It would be going too far to call Schütz's passions dramatic, but the delivery of the words of characters by specific singers (not the Evangelist) does bring an element of drama to the telling of the story. The other resemblance to Bach's passions is in the presentation of words of groups and crowds. In Schütz's St. Luke Passion these are set as short pieces for a four-part ensemble, today often sung by a chorus. They are labeled Disciples,\ "High Priests" and so on, and clearly stand out by their scoring from the intoned narration and words of individuals. Here, too, Schütz is following a Lutheran tradition that sometimes decorated the plain liturgical chanting of the passion story with polyphonic (multi-voiced) settings of the words of groups; his three passion settings can be seen as a culmination of this tradition, in fact, providing the most elaborate music for the words of groups. These movements draw on the vocal style Schütz cultivated in collections like his Geistliche Chor-Music in which the entire musical substance resides in the voices, with no essential instruments and no basso continuo. Compared to the kind of setting that uses solo voices against basso continuo, this style is expressively relatively neutral. 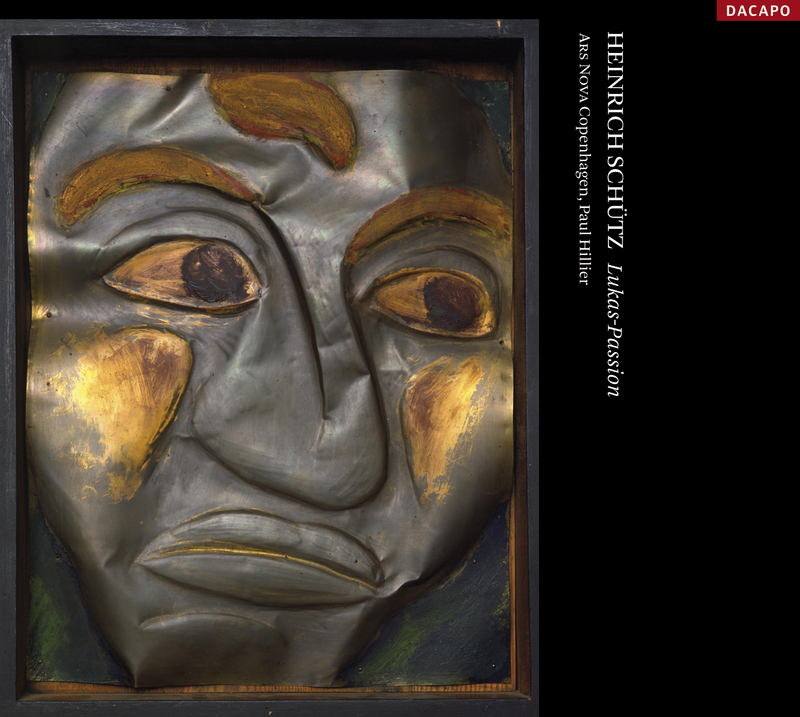 But in Schütz's hands (and in contrast to the formulaic and plain recitation of the rest of the passion's text) these brief pieces stand out as particularly expressive. The composer often uses the characteristic texture of imitation among the parts to suggest multiple speakers; he controls the density of the texture and the speed of declamation to suggest different affects; and once invokes a musical convention of quick repercussive vocal writing to highlight the martial violence suggested by words of the disciples who offer to take up the sword ("Herr, sollen wir mit dem Schwert dreinschagen"). These pieces go beyond the detached emotional neutrality suggested by the choice of unaccompanied recitation, and for the modern listener are likely to represent high points of the work. This way of listening might be another legacy of our familiarity with Bach's passions, with their emphasis on the listener's personal and emotional reaction to events in the story; Bach's musical style and the expressive language of the added poetic commentary are especially well suited to exactly this kind of expression, and we are accustomed to listening for it. The choice of musical styles in Schütz's St. Luke passion - liturgically-derived unaccompanied recitation and ensemble settings that tend only somewhat towards text expression - result in a work that we need to hear differently, perhaps, to appreciate fully. If we have a tendency to see Schütz from the perspective of J.S. Bach at least we are in good company. The modern study of Schütz's music started with 19th-century Bach scholars who were curious about the musical traditions from which his church music arose. This spurred studies of Dieterich Buxtehude (whose music-making Bach experienced directly) and of earlier 17th-century predecessors including Johann Hermann Schein and Schütz (whose music Bach was likely to have known at least in passing). So we might as well embrace our position as listeners who come first to Bach's passions and try to understand the ways in which Schütz's pieces differ. In fact this was exactly the conclusion reached by Philipp Spitta, the greatest 19th-century scholar of Bach's music and one of the first to explore Schütz's music thoroughly; he concluded that the older composer's passion settings had very little in common with Bach's but found immense value in each. This is surely a good model for our listening as well. Dacapo Records og Ars Nova Copenhagen takker Sonning-Fonden, Etatsraad Georg Bestle og Hustrus Mindelegat, Wilhelm Hansen Fonden og Bikuben Fonden for økonomisk støtte til gennemførelse af produktionen.